When Others Don’t Believe Your Illness, God Sees! When people don’t believe your illness is as bad as you make it out to be it can be devastating. Bridget shares how we can find comfort. If you’re chronically ill, then you’ve probably had times when doctors, family or friends have doubted your “sickness” due to it being invisible to the world. Life is hard already and then to have people think you’re making up your pain–it can be so discouraging and disheartening. When I came across this familiar passage where Samuel was anointing David as the successor to King Saul, I was reminded that not only does God look inside to see what is hidden in our hearts, but He also sees what others refuse to see. God understands and knows that your pain is real. God knows that you are silently suffering when others around you don’t understand. God knows when you feel lonely and isolated from everyone around you. God sees that you long to have comfort here on earth. God sees how much others have hurt you by their unbelief. But friends, God sees into your soul. He sees and acknowledges your pain. God alone can comfort and lift your spirit when no one else can. It doesn’t matter what others might think or believe about you–God knows the truth and someday others will know it too. I hope this encourages you today! Prayer: Dear God, I hurt so much right now. I know I can share that pain with You and You will understand. Thank you for Your comfort! Amen. Bridget Gazlay resides in beautiful West Michigan. She struggles with fibromyalgia, endometriosis, IBS, kidney stones, and migraines. She works full time but writes and designs fabric art on the side. Bridget’s prayer is that anyone who comes across her writing or artwork would see she allows, “God’s creation to be my inspiration.” Find out more about Bridget at, www.uniquelyfabric.com. How do you cope when others doubt you? I found a great song I think you will like. This woman goes by “Plumb” and here she is singing “Need You Now.” The lyrics talk about crying out for God, asking God to take away the suffering, and still. . . surrendering it all over to Him. Below the video you will find another video where she shares about what inspired the song. Filed Under: Devotionals, Friendships, Hurt Feelings, Invisible Illnesses, Misunderstood, What's New? 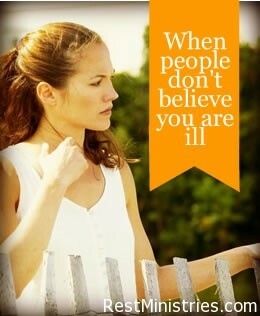 24 Responses to When Others Don’t Believe Your Illness, God Sees! Hi Bridget, Thanks for the scripture and for sharing. I can soooo identify with that. And the scripture is a blessing and brings comfort to my soul. And I very much enjoyed the song and interview by Plumb because I, too, suffered with anxiety for many years, especially as a child and my teenage years. Some natural supplements have helped me handle that better plus knowing who I am in Christ and that I am loved by Him. Glad this devotional touched you today Lucille!! I really appreciate your devotion for today. I have always been a strong person especially with doing physical things. Physical things were an outlet for my emotions. Since I have been ill, I don’t have the strength I once had, and the physical pain keeps me idle instead of active. I have come to depend upon God to help me keep my emotions straight, but right now I am dealing more with the physical pain. There are times when I can hardly walk. The past week has brought a resurfacing of general malaise and pain. I don’t think my family or neighbors truly believe I have degree of pain and fatigue I have.I have tried to be as active as possible in my garden which might confuse them, but it is often done very slowly and with pain. I just can’t imagine remaining constantly idle. It can be very lonely when you are not believed. It’s like being stuck in the mud. When I feel this way, I know God is with me. I like your scripture verse, Bridget. Hopefully, one day I can experience God reaching out to me through a person. I know I should try to reach out to others around me, but to make that connection when I am not believed is not easy. Lot’s of things to work on it seems……thanks again. Bridget, thank you so much for sharing this! This is an all too common experience for those of us with chronic illness, and I am no exception. You are so right when you say that “life is hard enough and then to have people think you’re making up your pain is so discouraging and disheartening.” It is not only the disbelief that hurts, but the indifference too. Yet time and time again, God lovingly reminds me that He sees and understands my suffering and He knows what it is like to be misjudged and mistreated… And that it is our very suffering that is bringing us into a closer and more intimate relationship with Him. So thank you for sharing this and blessing so many others who are suffering, isolated and not receiving the love and support of others that they need. Also, thank you, Lisa, for this song by Plumb. This song has been a personal favorite of mine since i first heard it on the radio a while back. It so captures what we all feel much of the time. God bless you! Bridget, you have no idea how much your words & this song spoke to me today! God still amazes me when He puts the right person, words, songs in front of you at the exact time you are desperate for them. That song would bring me to my knees, if my sprained ankle & neuropathy pain would let me! Downloading that song for sure. Wonderful verse & great devotional. Thanks Bridget. Thanks Bridget, great devotional. My biggest frustration are the ones who not only don’t believe that I suffer from severe pain (RSD & fibro), but tell me that I just don’t have enough faith. I decided early on, that most people when they don’t feel well (the flu, or a bug), they get grumpy and since I don’t feel well 24 hours a day 7 days a week, grumpiness is a luxury I can’t allow myself. So because I face life with a positive attitude all this illness ‘must be in my head’. My family is the worst…I was supermom and I’ve tried to explain to them that I had to take off the supermom cape and throw it away, they just don’t get it, and don’t understand that I can’t go nonstop the way I used too. The devotional and scripture really spoke to me. As far as the song, I heard it a while back and thought, now there is someone who understands! Wow thanks so much for the comments! Peggy – you are right – the hardest is when family and friends don’t believe. I love the fact that you still try to reach out to others even when they hurt us with their unbelief!! Great example!! Shelly – you are right – others’ indifferenece toward our pain is often the biggest hurt. We all want someone to care about us and when they don’t it hits us right in the heart!! Thankfully God cares and that’s the important thing!! Cindy – so glad the devotional and song ministered to you today. It is neat to see God bring words and music to us just when we need it. Lisa did a great job picking out the song to go with my devotional today!! Kerryn – you are right – hearing comments from others like, “you look good” is hard to hear when often we feel so bad. It can be so disheartening. I’m thankful God sees everything we endure – the physical AND emotional pain. Hang in there! Kathy – wow, the “you don’t have enough faith” has to be the worst comment I hear from others. That REALLY hits me hard. I always tell them it’s a good thing God doesn’t need my faith in order to do His work! He’s capable of doing it all in His own faithfulness!! Bridget, your devotional for today was an encouragement to my heart.I feel God has spoken to me through you, its an affirmation of His love, comfort to me that He has not forgotten me. I was most struck by the words "God knows the truth and someday others will know it too." I have never had that thought in relation to my illness not being believed. That disbelief is probably in the top 3 of the most hurtful aspects of my illness. Just last night I was speaking of this, telling someone of my memory of such a concern. It was prior to my disability hearing. I had a friend who was a nurse. We roomed together for awhile, so she got hiow sick I was. She told me that I "present too well" and she was certain that my claim would be turned down by the Judge, due to that alone. Well, much prayer & a great lawyer got my claim accepted. But it was very unnerving to hear those words. Now, though, they help me when I am being disbelieved. They give me some perspective on perhaps what another sees when looking at me. I have so many devotionals poured up inside of me. I wish I could write that up into one right now. Currently, I am going through a flare up. In fact, pardon me if I am repeating anyone, but I am unable to remember my own response at times if I read the responses of others! Somehow, I think that experience is not unique to me! Lisa, thank you so much for that song. Like others, I cannot always take in much sensory input. However, I always seem to get the nudge when I really need to hear it, and this was definitely one such song. Can you believe that God gave that voice and those lyrics to someone like us! It is lovely to have such a beautiful voice to speak for us who don't have recording careers. A reflection of God's heart is what I feel in her.. Thank you also for (choosing?) a format that goes as low as 144 on the "quality" metre. Lesetta – thanks so much for sharing your own personal struggles. Too often what others think they see in us affects how we are treated by physicians or legal personnel and that can be so scary! But, knowing God is with us through every step is encouraging! May God continue to work in your life! dear one, i lie on my side and type with one finger so only the Lord’s name earns the effort of a capital letter. i returned home a few hours ago from a 1000 mile trip to see a specialist…husband driving. the specialist lifted a ten year plus diagnosis of ms…so the disease is gone…but not the pain and disability. however, now when i list my illnesses, there will only be 23 to write down. hurray. i get such mixed reviews as i do as the sister above, i smile and glow as my sister says. i did, from this dr., receive a projected treatment plan…he wants me in physical therapy three times a week plus go into counseling. i balked at the last part as i am a psychotherapist… physician heal thyself…and my husband also. 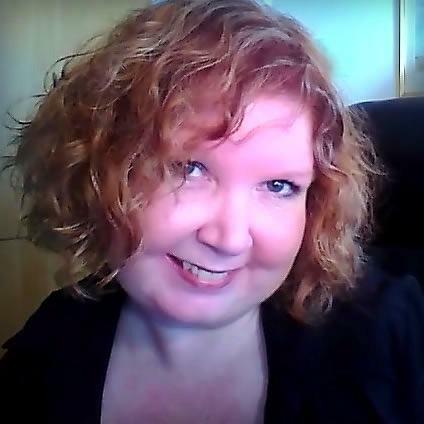 i also have extreme fibromyalgia…since i was two yrs old by medical history reviews. also scoliosis and sciatica on both sides. i have been bedridden for two yrs with trips to the potty my big adventures out of bed so this long trip with was an adventure. i can barely walk…husband had to walk me to outhouses along the way and cafes when we would stop for gas and a bite to eat…we live in the woods of alaska outside of fairbanks and had to drive to anchorage. a male friend suggested i go for a long walk and watch mad men on tv and i would feel much better…he offered his worldly advice which was what he had and i appreciate it. but God is my source…. best not chatter on but your words were there to lift me when i got home today. haven’t listened to the song yet as i don’t truly have the energy for tears right now. Karen, your message touched my heart. I understand your pain, the trip, although challenging, sounds like an adventure, to go so far. Do the physical therapy, it does help, and being a therapist yourself, the counseling may or may not help, but keep your eyes on Jesus, you are precious in His eyes and know that you are in my prayers. I honestly do understand your pain as you write of it so well. Weather is often such a culprit in how I feel. The cold spring brought more pain for me then yesterday I was able to work outside without much pain or lightheadedness when it was 84 degrees. I saw Alaska was going through some odd weather patterns. I hope you will follow through with the treatment plan your doctor suggested with Jesus being your ultimate Guide. I will uplift you in prayers. Bridget, your devotional speaks volumes for many of us, I think, who are in this realm of chronic illness. There are probably very few who have not encountered this difficulty with either friends or family not understandng the depth of our illness or the pain we must endure. Even recently a friend of my own who i’ve known for yrs made this same judgement of perhaps all in your mind.etc. It was extremly hard for me, but as you said God does see, and knows exactly all that we are feeling, and one day so will others. So encouraging of you to put into words the thoughts and feelings of so many! It was truly a blessing, thank you for allowing God to use you in such a special way to inspire and encourage others.. I so identify with your devotional and all the comments. I, too, experience these feelings of people not realizing how ill and how much pain I am in 24/7. At this point, after having been sick for so many years and the aging factor, I am getting worse. I get so disheartened and hurt when people who have surgery and in hospital get meals, visitors, etc. and those of us at home, going to docs all the time, test upon test, being prodded, pinched, and then no diagnosis, at this point, for my new illness, receive no care from others. This sounds like jealousy on my part but it isn’t, I want these folks to have all the help they can get. I don’t want to be in hps although is always a fear I will,have to go and have surgery. But my point is that chronic illness people get forgotten and how can they be sick all the time! I think is attitude from most people. I still have some good friends that love me so I am blessed by them. But I get so lonely and this internet community has encouraged, supported, loved, prayed, commiserated, and given me so much comfort that real flesh people around do not. In all fairness, everybody is soso busy with their lives and I believe, they just don’t get it. We are an enigma to them. And would I be any different if I was one of them and not one of us? And Karen. Wow, what a trip. Good for you. I pray your new plan of action helps you. And, like you, I try to get out and do a little bit of yard work just to relieve the monotony of my days. And I live in north Florida, where it is now in the 90’s and can only go out in early am, if physically able for about 15 minutes. Very slowly and carefully. We used to be able to get “out of Dodge” in the summer but have been unable to do that for last two years. The heat depresses me greatly as I feel even more housebound than already am as the humidity and heat make me so tired, and my pain more intense. It just takes what little energy I have. So, this community is such a blessing to me. Thank you all for being here and for this loving caring safe place to come to. Karen – wow that sounds like such a long trip – but glad you could make it and get a second opinion and a plan of treatment!! Diane – glad this devotioan touched you! Patty – you are so right that we can often feel “forgotten” – I’ve personally dealt with that often and God has been such an encouragement to me at those times! Wow, this message was brought to mind a few minutes ago & I’m afraid I didn’t handle things as well as I could have. Because of my illness I find my immune system not what it could be so when I was exposed to a stomach flu I got hit hard. Within a matter of a few days I lost 15 lbs & had to go to the Dr & was given a couple of IVs of fluid due to dehydration. Needless to say I’m so weak I can hardly stand much less attend church on Sunday morning. So I got a phone call a few minutes ago…it was not a call of loving concern but a call of blatant judgementalism. This friend has approached me several times in church & asked how I was doing & no matter how I responded I felt like she was probing me for some confessed sin, after all if we suffer from chronic illness we must have sinned right? Today she was telling me that instead of laying here being sick I should be up ministering to people & when I explained how that was not feasible she said I should at least pray for people. When I told her I did do that she said no I mean really pray. At that point Im afraid I got angry & told her “Well I’m already fasting & now I’ve got to get off the phone & go to the bathroom, get on my knees & ‘pray’ some more”. I know that was not the right response, but I’m just .being real here. Hnestly though, why do people presume to know anything about my relationship with my Lord & Savior. Maybe if at some point she had called to see how I was feeling I might not have responded the way I did. I could use some Godly counsel in dealing with this friend & the gossiping involved as well. Kathy, I’m so very sorry to read of all you’re going through physically & then to be attacked verbally too is very tough! When we have very low energy reserves & the body is completely wasted it’s hard to be gracious to someone who has NO IDEA of what we’re going through. I’ll be praying for you Kathy! Kathy – so sorry to hear how your church friend was treating you!! That is so hard. Those are the times I just cry into God’s hands since He knows the truth. Some people you can explain how you’re feeling to over and over and over and they just won’t get it. I will pray for strength and grace for you in how to handle this tough situation! !